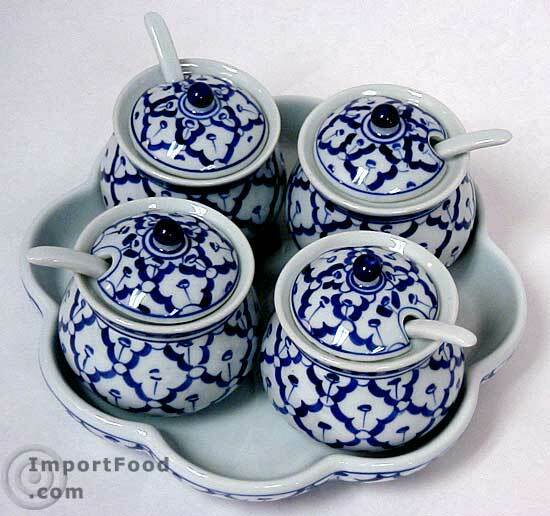 Handpainted ceramic condiment set imported from Thailand. Each piece is painted by hand using a traditional design unique to Thai artisans. Not a table in Thailand serves food without a little carryall that has the essential four condiments: sugar, vinegar, ground chile pepper, fish sauce. 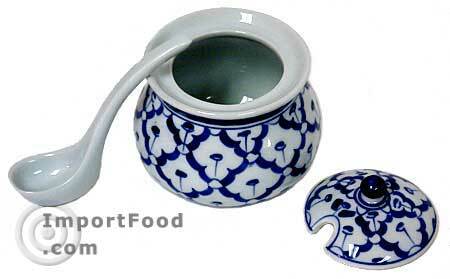 More info: Thai Table Condiments. 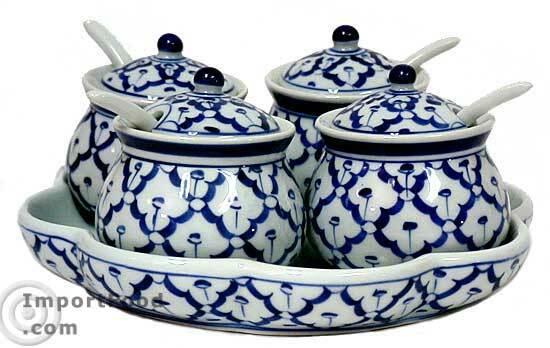 Our luxurious set consists of a shaped plate that holds four individual bowls each with a lid and spoon. Painted with intricate detail, it is a beautiful addition to your table. Each piece will arrive in perfect condition as we place a great importance on packing methods. 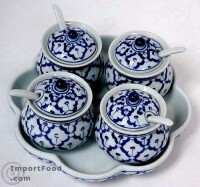 Please also consider our glass condiment set or our new modern ceramic condiment set.